Ever heard of blogging? 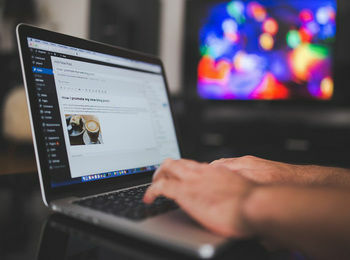 Yes, blogging has evolved to become a powerful tool used by individuals and businesses in connecting with people and communicating what their businesses stand for. While it may sound easy, it actually is not. Having to write engaging and powerful contents is not easy especially if you are expected to do it on a regular basis. There are different obstacles to blogging but it is undeniably a great way to stay in touch with your consumers or the public in general without spending a great deal of money unlike other means of online marketing that requires a bigger capital. Oh boy, there are so many reasons why you should be blogging. Just type in ‘blogging reasons’ in a search machine and you will find thousands of articles telling you why you should be blogging. Rather than being original this week, I want to create an ultimate list for you, so you do not have to read all those articles. If you are an entrepreneur and you have not started blogging for your business yet, this ultimate list should persuade you, even if you are a bit afraid of starting. Anyone who thinks that blogging is not challenging has not really done it. It is a challenge to sit down and write and to do that consistently. It is a challenge to put your ideas out there, but you should not be scared of it. You should embrace it because it makes you grow. By growing, you become more complex as an individual. Blogging is a challenge that you can handle and simply put, handling challenges can make you happy. One of the hardest barriers to overcome is thinking you should have a Big Idea that no living human had ever shared before. For starters with a limited budget, free platforms like WordPress or Blogger is an ideal tool to help get you started. After all, what matters most is your content and how your target audience responds to whatever is written there. You do not just post whatever you feel like posting because you want your blogging efforts to pay off over time. You even learn a lot of new things as you go since you definitely have to do some research on the contents you post, so it is a win-win situation for you. You learn and earn as you go. It is even more imperative for you to start up your own blog now if you own a business for a lot of reasons. The use of keywords helps a lot as it streamlines your content and helps you reach your target market faster and also ups your ranking on search engines. We all know how influential Google is to the public since most people use it on a daily basis in as much as they use social media. And aside from just posting your content on your site, you can also share them on social media so that more people can see it and you’d see faster results. There are many ways you can optimize your brand through your content and blogging is the perfect way to make things happen without having to do all the work yourself.